Despite the impending Making Tax Digital deadline, it seems that not all businesses are aware of the upcoming changes, which has led to certain bodies calling for the scheme to be delayed, lest its introduction take a number of businesses by surprise. To make sure you don’t get caught out, this article outlines the basics of what you need to know about Making Tax Digital for VAT, why calls for delays have been made, and – crucially – whether these delays are likely to come into effect. Making Tax Digital for VAT is part of the wider Making Tax Digital scheme announced by HMRC, which you can read more about here. In short, the aim of the Making Tax Digital initiative is to help bring the UK’s tax administration into the digital age and move away from the paper-based reporting that many businesses still follow. Digital reporting should provide more reliable and efficient information, which should, in turn, help both taxpayers and tax collectors. The Making Tax Digital for VAT scheme marks the start of the rollout of Making Tax Digital and will apply from 1 April 2019 for eligible businesses. From that date, any businesses that are VAT-registered and have a taxable turnover in excess of the VAT threshold (currently £85,000) will have to comply with the scheme, although any business can also opt-in if they wish. The scheme requires businesses to maintain digital VAT records and to keep hold of those records for up to six years. What’s more, businesses under the scheme will also have to use software that’s compatible with the Making Tax Digital platform to submit VAT returns online. Note that HMRC is not releasing any of its own software, so the onus will be on businesses to find a compatible software provider. Thankfully for businesses that still rely on paper-based reporting, digital records will only initially have to be kept in respect of VAT matters. 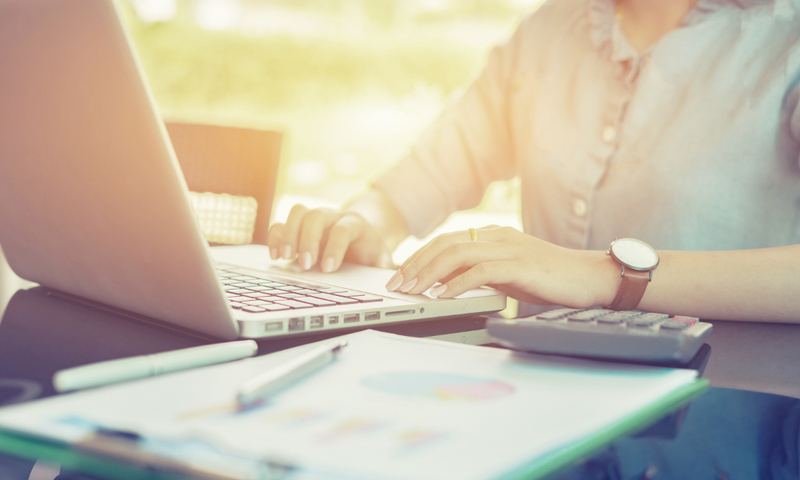 However, the requirement to keep digital records will extend to other taxes, including income and corporation tax, when their respective Making Tax Digital schemes come into effect from April 2020, if not later. While there has been no shortage of information published about Making Tax Digital, it seems, for one reason or another, word hasn’t yet gotten out to a huge number of businesses that could be impacted by the scheme. At the end of June 2018, the British Chambers of Commerce released a statement calling for the Making Tax Digital scheme to be delayed until the 2020/21 financial year on the basis that a large number of businesses were unaware of the initiative. This conclusion was based on research conducted by the British Chambers of Commerce and Avalara on 1,073 businesses. This research found, among other things, that almost a quarter of the businesses surveyed hadn’t actually heard of the scheme. Of those businesses that were aware of Making Tax Digital, a quarter were found to have made no progress when it came to preparing for the changes ahead, even though there’s less than a year to go. The British Chambers of Commerce suggested that, by delaying the scheme’s introduction by a year or so, there will be more opportunity for HMRC to raise awareness of the upcoming digitisation under Making Tax Digital, and they will also have more breathing room to roll out the scheme. This breathing room should not be altogether unwelcome, given that HMRC is known to be under the pump with respect to its Brexit preparations. Even back in April 2018, HMRC was in discussions with the Treasury about which efficiency projects could be scrapped or delayed in order to allocate more resources to Brexit matters, particularly matters relating to the customs union. Seeing as the U.K.’s official exit from the European Union is set to take place just a day before the Making Tax Digital for VAT scheme comes into effect, there is certainly a case to be made for delaying the rollout of Making Tax Digital for VAT, if only for the sanity of the staff at HMRC. Should you expect further delays to Making Tax Digital? While the thoughts of the British Chambers of Commerce may carry some weight, it seems that, for now, it’s business as usual for HMRC, despite the heavy workload currently facing the department. Although Making Tax Digital has been subject to delays in the past, notably in 2017 when the government announced that the VAT scheme would not come into effect until the 1 April 2019 date we’re now familiar with, it doesn’t seem as though any similar announcements postponing its introduction are coming in the near future. In fact, almost in direct contrast to calls for delays, HMRC has been busy over the past few weeks when it comes to Making Tax Digital. For instance, they have released further information about the scheme, including a stakeholder communication pack, among other items. Given the release of this new information, along with the fact that the pilot scheme, which launched in April 2018, is up and running, it seems unlikely that HMRC is really considering any additional delay. As such, in the absence of further news from HMRC regarding the future of Making Tax Digital, it makes sense to assume that the VAT scheme will launch as planned in April 2019. This means that you should continue to ensure that your business is ready for the upcoming changes or to start putting measures in place if you haven’t yet done so. One of the main issues that many businesses will face will be transitioning away from paper-based VAT-reporting, so it’s essential to ensure that your business will have the systems in place to maintain digital business records. With less than a year to go before the changes, it’s best to have a plan in place now to ensure a smooth transition over to a digital system, rather than face a difficult, and potentially costly, changeover nearer the time. In addition, it’s worth taking some time to confirm with your software provider whether their offering will be compatible with the Making Tax Digital for VAT platform. AccountsPortal is in the process of becoming an approved software provider for VAT, and we expect to announce this in the near future. Remember, if at any point you need further information about the requirements of Making Tax Digital, or if you want to make sure that your systems will be able to cope with the changes, you can also consult with your local accountant, who can provide further advice.